18.04.2019 United Continental still expects to receive new Boeing 737 MAX planes in 2019 and does not expect a fight with the manufacturer over recovering costs from the planes' grounding,..... click to read more. 18.04.2019 Botswana's state-owned Okavango Diamond Company on Wednesday unveiled the biggest blue diamond ever discovered in the Southern Africa country... click to read more. 18.04.2019 Copper prices rallied Wednesday to the highest level since early July, driven by solid first-quarter economic growth in top consumer China... click to read more. 18.04.2019 The Brexit Party set up by anti-EU firebrand Nigel Farage is leading Britain's other political parties ahead of European Parliament elections in May, according to an opinion poll published on Wednesday... click to read more. 18.04.2019 German auto giant Mercedes-Benz apologised Tuesday over the ordeal of a Chinese car buyer who alleged mistreatment by an authorised dealership in a viral video that triggered consumer outrage... click to read more. 18.04.2019 The US economy has been chugging along, expanding at a "slight-to-moderate pace" but labor shortages and trade uncertainty continue to weigh on the outlook, the Federal Reserve said Wednesday... click to read more. Is Rent Money, "Dead Money"? Is there ever a bad time to invest in gold? Indicator Overload - How Many Are Too Many? 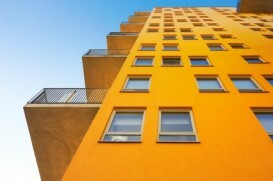 Borrowing to buy property within Super: Buyer Beware! Explainer: what is short selling? Cash Vs Shares - Which Is Best? Is Your Stock Headed South? Has the investment world changed? What are straddles and strangles in options trading? Should I borrow to invest or dump money into super? 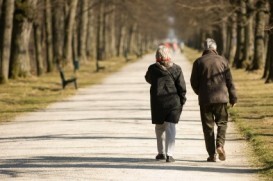 What will you spend in retirement? Malaysia's economic growth slowed to 4.4% in the third quarter as a weakness in external demand and "supply shocks" offset a marked rise in household spending. 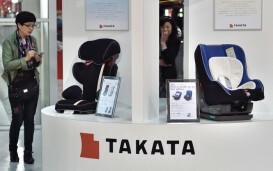 Japan's scandal-hit airbag maker Takata is expected to file for bankruptcy protection as early as this month as it prepares to sell its assets to a US company, a report said Friday. Money or happiness? Fear the no-grow zone: has technological innovation reached its final frontier? Dividend Facts You May Not Know What is a reasonable amount of debt? 10.08.2013Is Rent Money, "Dead Money"? EU Trade Commissioner Cecilia Malmstrom warned Thursday that US actions threatened to "break" the global trading system and she urged Washington to cooperate on reforming the rules of commerce instead.